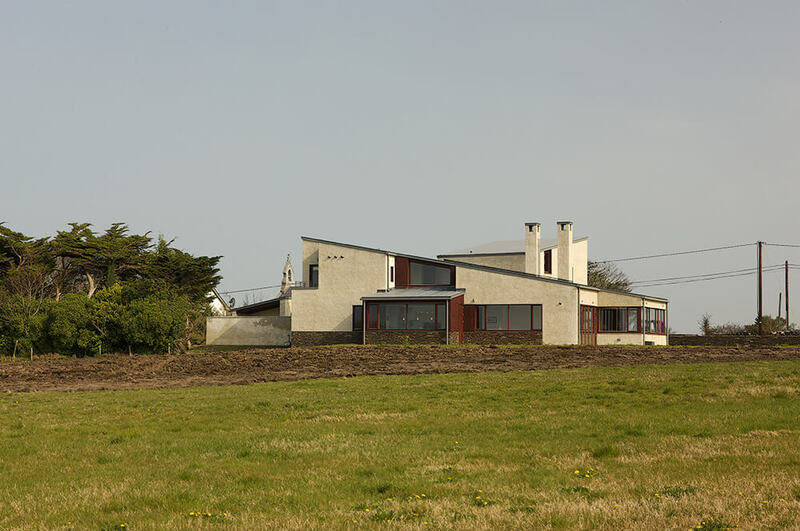 The development is located on the edge of Castlegregory, a small village in Co. Kerry. 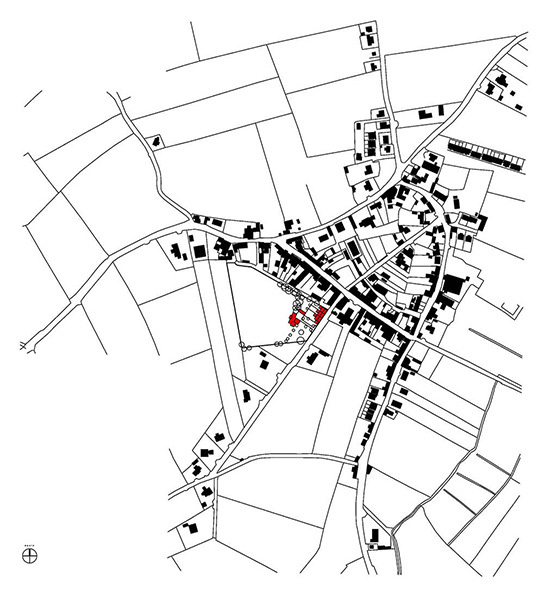 It consists a 3 townhouses and a large family house, detached but connected to the village street by an enclosed entrance forecourt. 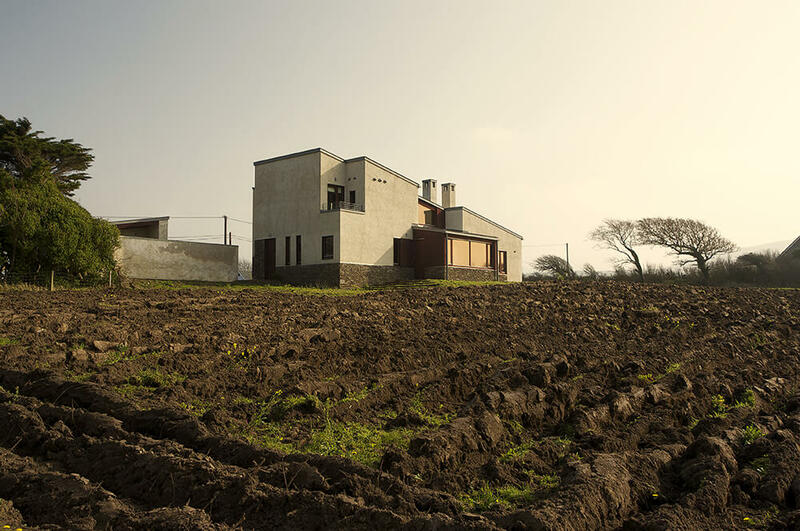 The design strategy acknowledges the requirement to define and consolidate the fragile urban structure of the village and to maintain the natural character of the pasture, which is overlooked by the villa. The three town houses are yet to be built; however these maintain the existing line of the street and incorporate traditional forms and architectural language, in a contemporary manner. 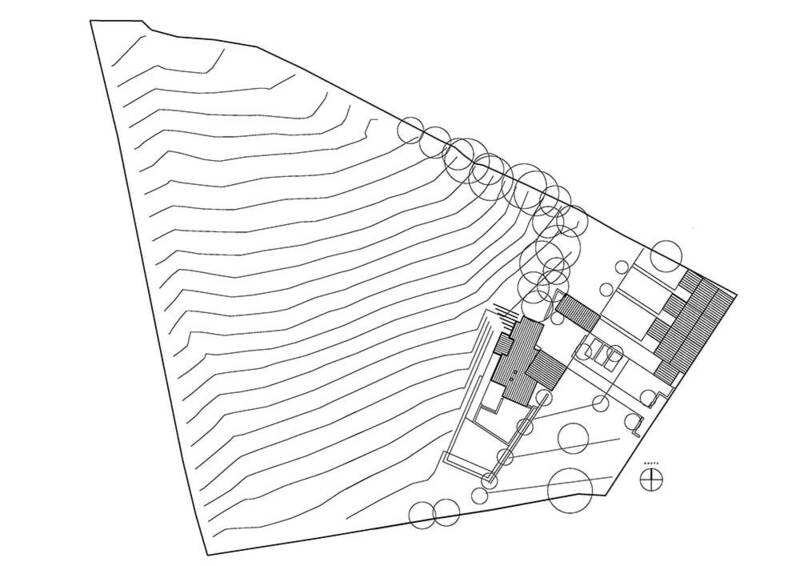 The form of the villa is derived from the orientation and character of the site. It is defined by the entrance forecourt and existing lines of hedgerows. 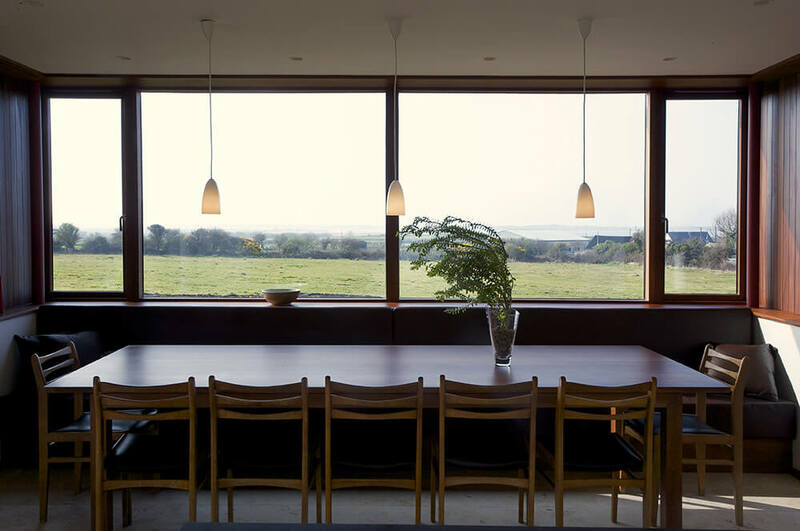 An outdoor terrace is set into the landscape for shelter from the winds. 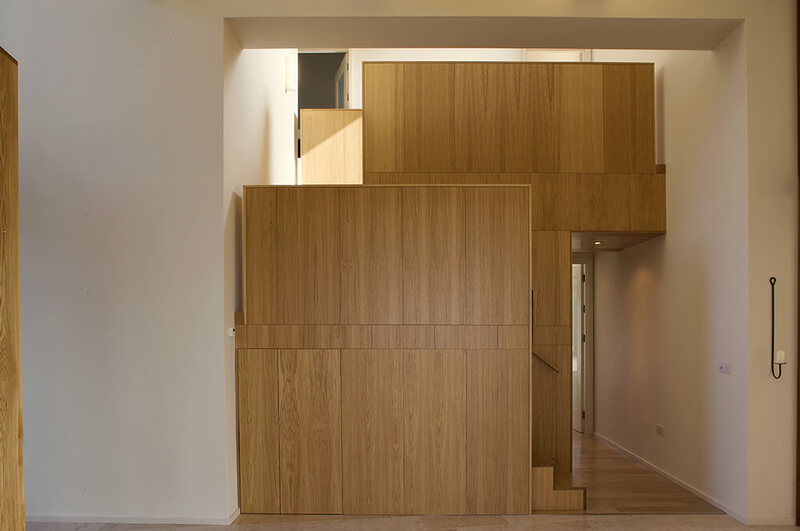 The villa is organised in two forms: a cubic block facing the forecourt includes the private areas of the house, the bedrooms and bathrooms. 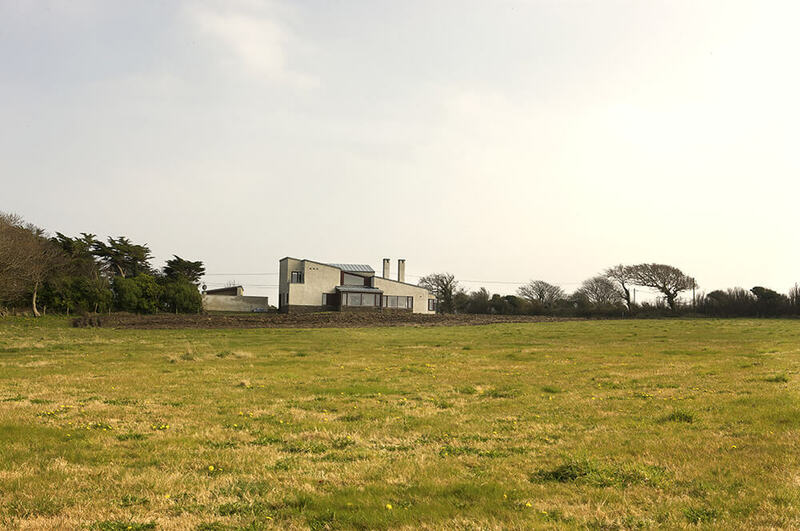 A longer wedge shaped form, aligned with the hedgerow, includes the public rooms. The zinc roof also tapers up to provide space for the private master bedroom in a discrete floor above. The main living space is a single room with windows placed to make the most of sea and mountain views. Ancillary spaces, pantry, stores and washrooms are placed behind with access to the forecourt. There is a second more intimate book-lined room with views to south and west and access to the sunken terrace. 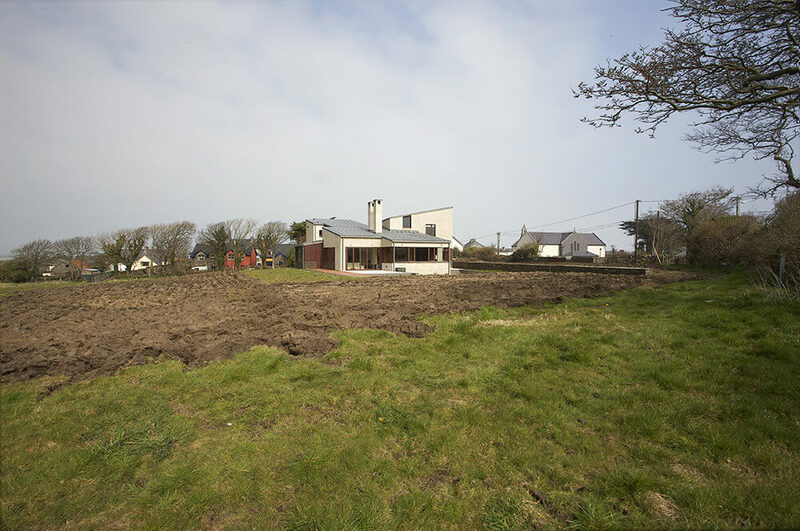 Apart from the forecourt and terrace, the land is left as natural pasture. 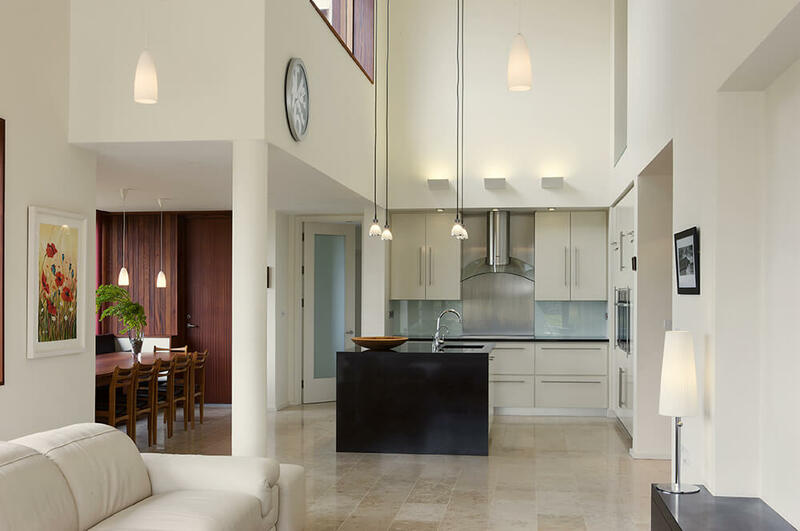 The requirement for natural low maintenance materials that would weather well determined the choice of finishes. 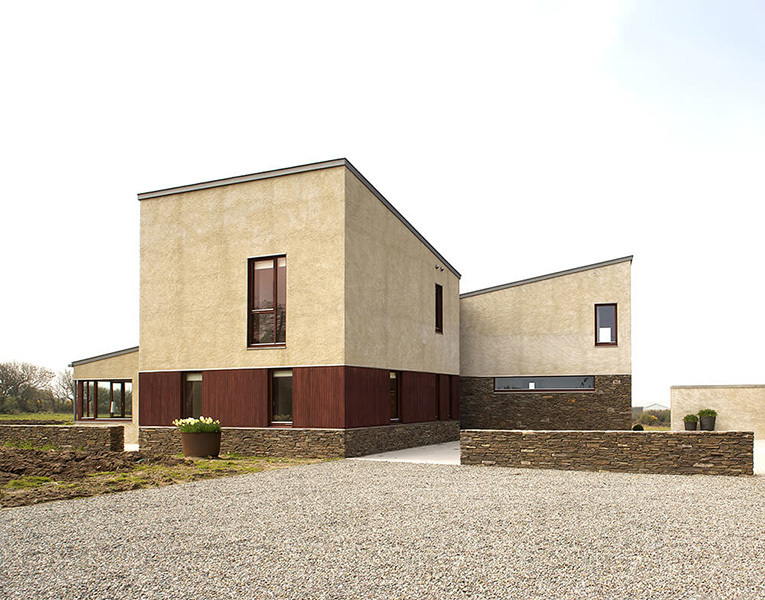 The external walls of the house are mainly finished in a natural hydraulic lime in a roughcast finish. The plinth is made of locally quarried red sandstone. The interior of the house is finished in gypsum plaster on cement gauged undercoat, all painted white, to optimise the light inside. The floors are white limestone in the public rooms, oak in the private areas. 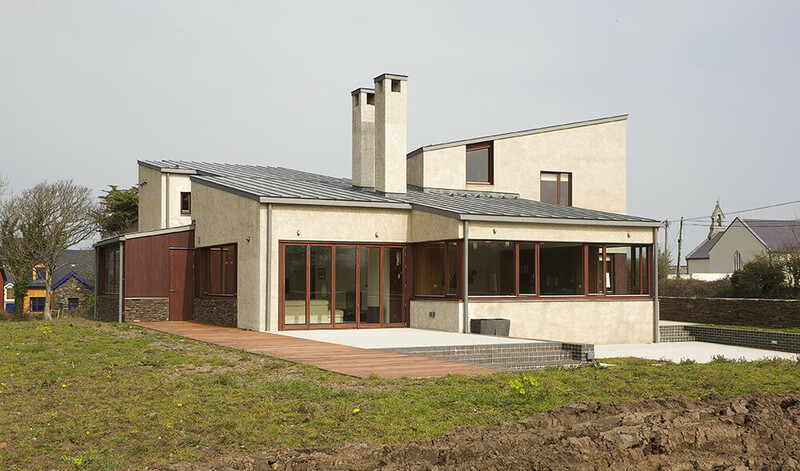 The house achieved an A rating and is extremely energy efficient using geothermal ground source energy and underfloor heating.